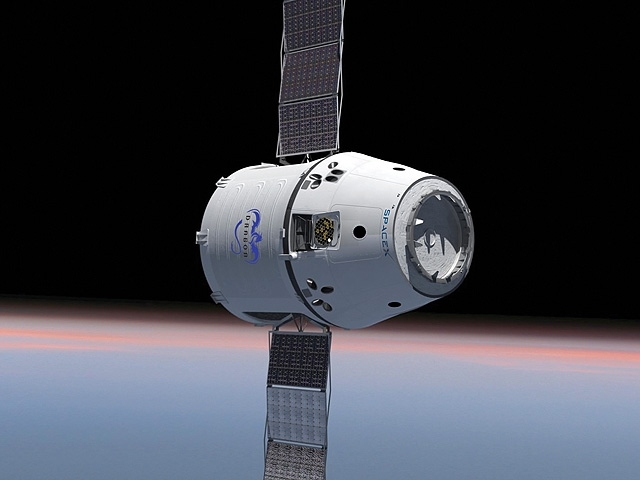 NASA has officially announced a scheduled date for the next SpaceX Dragon test mission, according to Space.com. The mission, which will rendezvous and berth with the International Space Station if all goes well, is scheduled to launch on April 30. UPDATE: Berthing is scheduled to occur on May 3, according to SpaceX president Gwynne Shotwell. SECOND UPDATE: The target launch time is 12:22 Eastern Daylight Time. The unmanned test flight is intended to demonstrate that SpaceX is ready to begin delivering cargo to ISS. Once that occurs, the next step is delivering NASA personnel. When that happens, SpaceX plans to start carrying citizen space explorers as well.